Riverside Heating & Air Conditioning LLC is proud to serve the Evans community! Please call us today at 706-945-5227 to consult with our home comfort specialist.  About Evans, GA - Happy to be your hometown Heating & Air Conditioning Contractor! In the state of Georgia, Evans is a community that is a suburb of Augusta and is located in the Columbia County. The community lies on a total area of 26.6 square miles. It is a census-designated place, which is an unincorporated community and has a population of 29,011 people. The area is bordered by the Savannah River towards the Northeast. The downtown area of Augusta is located just 11 miles southeast of the Evans community. The little community of Evans does not disappoint in terms of recreation or a friendly environment. The closely knit society that lives in Evans is welcoming to visitors that drive by the town. The community has state of the art golf courses such as Jones Creek and Bartram Trail where you can hit a hole in one and enjoy the breathtaking view. With the Thurmond Lake being so close by, a trip to it goes without saying. The community also holds various shows and festivals every year at the Columbia County Amphitheater. Visitors have praised it to be the perfect place to take the entire family because the entertaining spectacle is enjoyed by both children and adults alike. If your muscles feel tense then a visit to one of the wellness and massage centers in the town would make it a relaxing trip. Indulge in a luxurious experience and allow yourself to be pampered by professional wellness experts and massage therapists. The little community of Evans has all the right outlets to satisfy a big appetite. The wide range of cuisines available at local restaurants range includes Chinese, Italian, Barbeque, and Mexican. The unique shops and boutiques will give you an all-new shopping experience like never before. The unique blend of outlets and stores will leave you refreshed and ready to explore the community again.